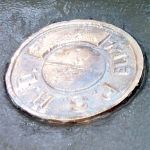 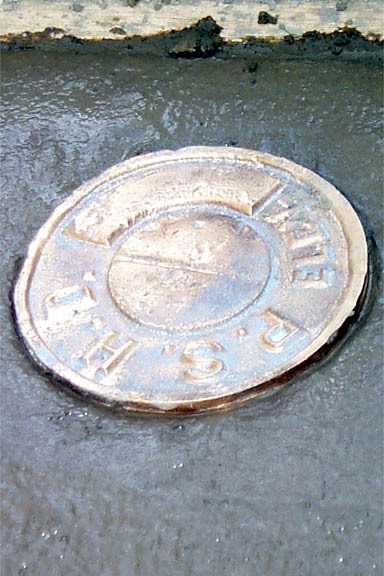 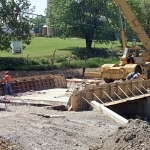 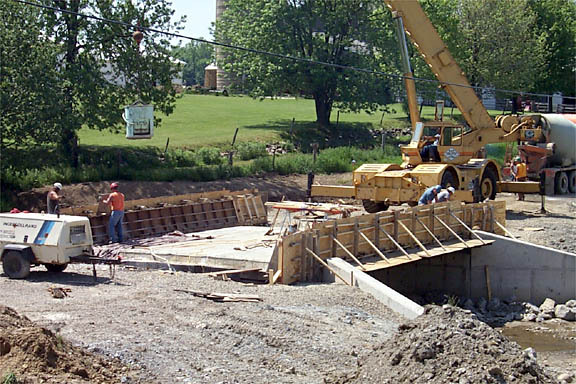 The bridge project replaces a 1919, reinforced-12 ft. 2 in. 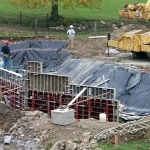 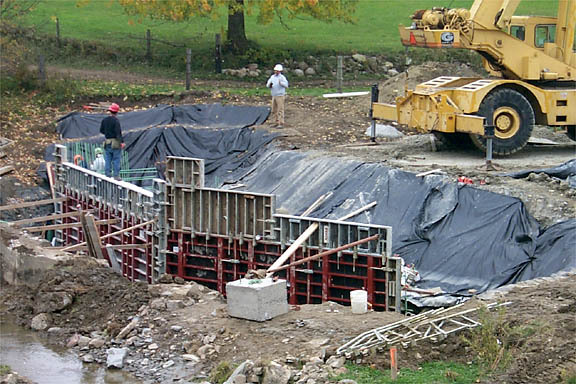 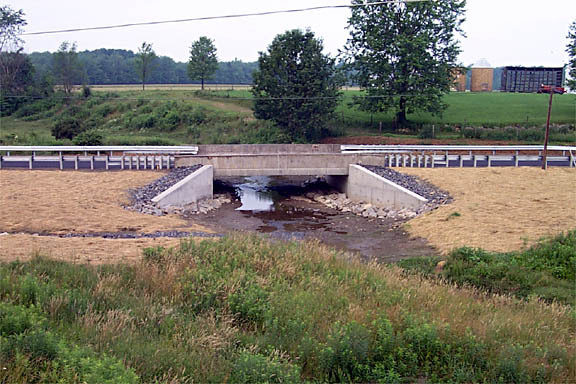 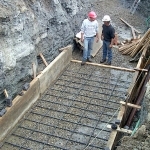 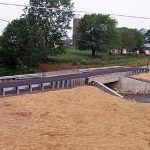 span, concrete-slab structure over Falls Run with a modern pre-stressed concrete adjacent box beam structure with a span of 30 ft. 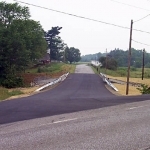 The new bridge has an asphalt deck surface and a roadway clearance width of 24 ft. 10 in. 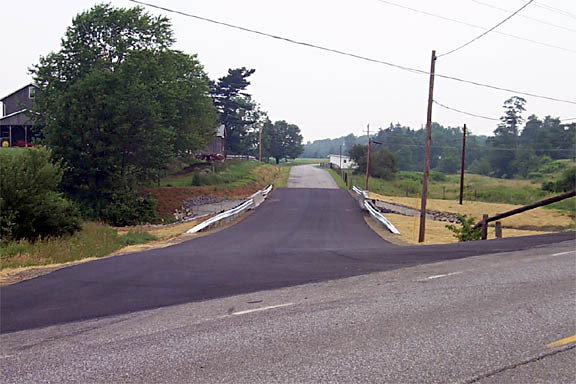 Falls Road [PA State Route 272 when the old bridge was built] used to be PA Route 98 until the early 1950’s when the Route was realigned. 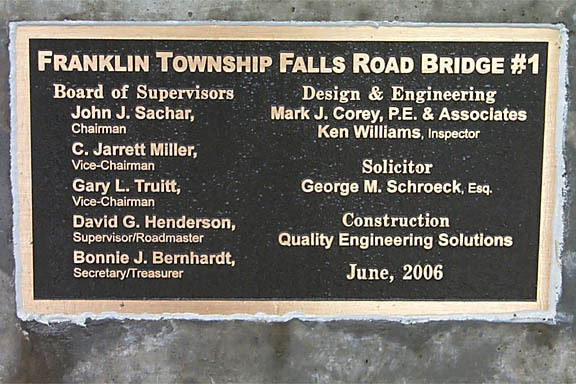 The old road was given to Franklin Township and named Falls Road. 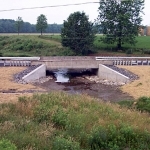 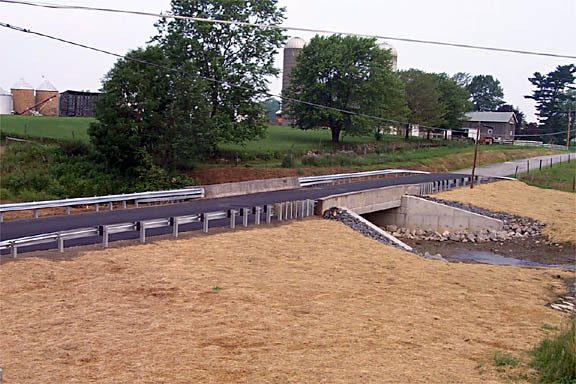 The bridge was replaced to eliminate the undersized capacity that results in Falls Run flooding the roadway during heavy rains. 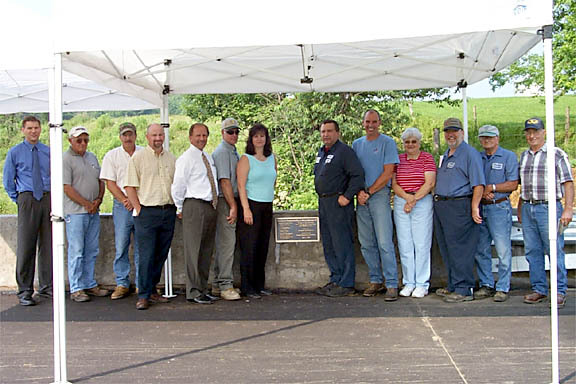 Additionally, the bridge was structurally deficient from years of concrete decay and was likely to be weight limited. 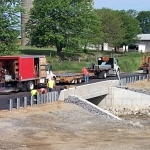 The new bridge meets current standards for load bearing capacity and traffic flow and will assure the safety of the heavy truck traffic that regularly uses this road. 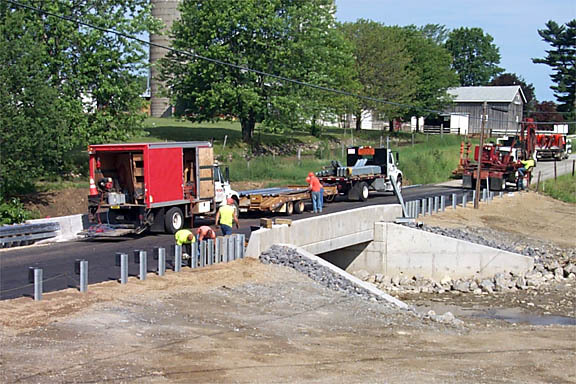 The cost of bridge design, engineering inspection and construction was $403,696.57. 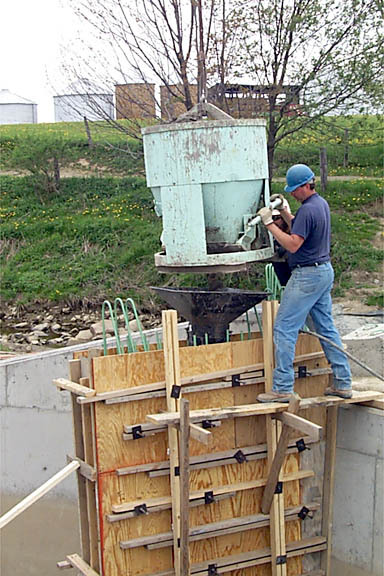 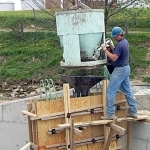 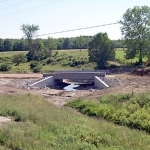 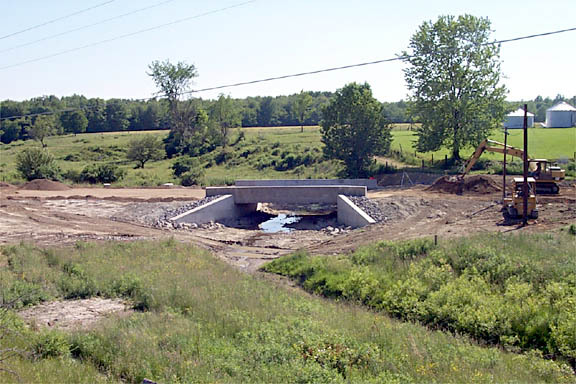 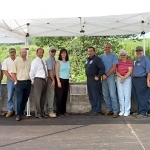 Eighty percent was paid by the Commonwealth through their local bridge replacement program. 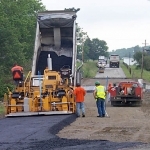 The 20 percent local share was paid by Franklin Township providing 15 percent and County of Erie liquid fuels tax fund 5 percent. 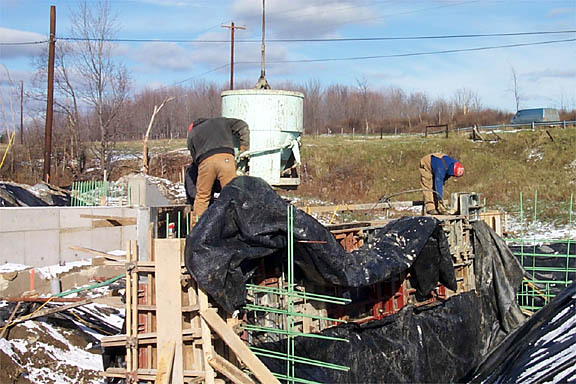 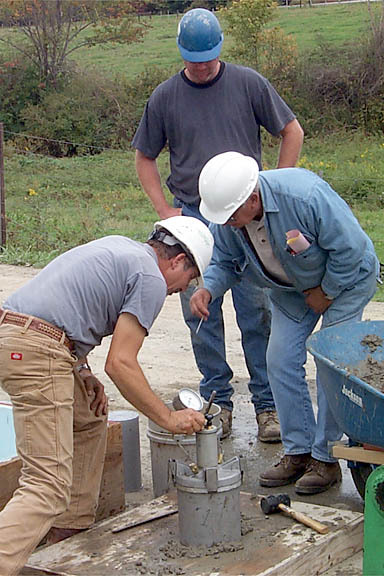 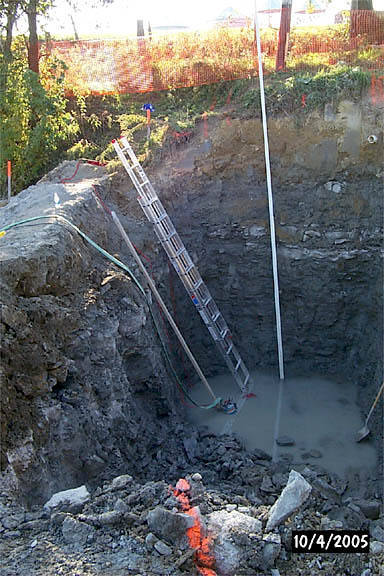 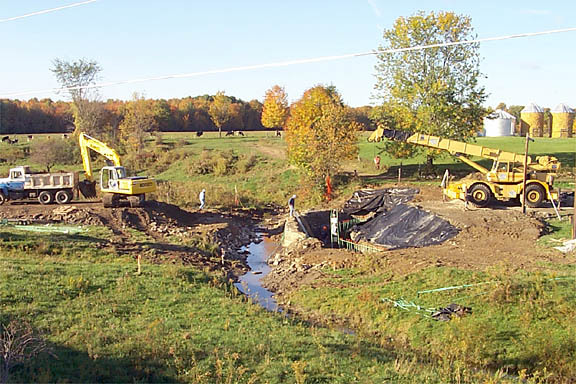 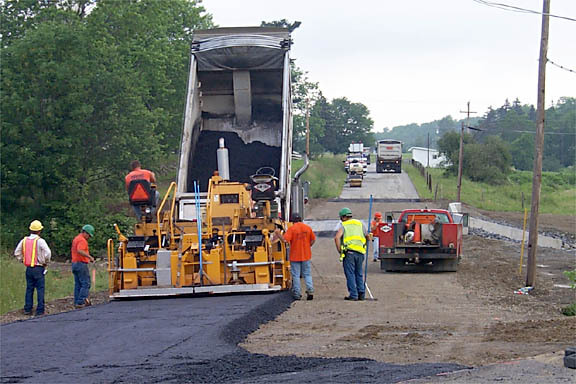 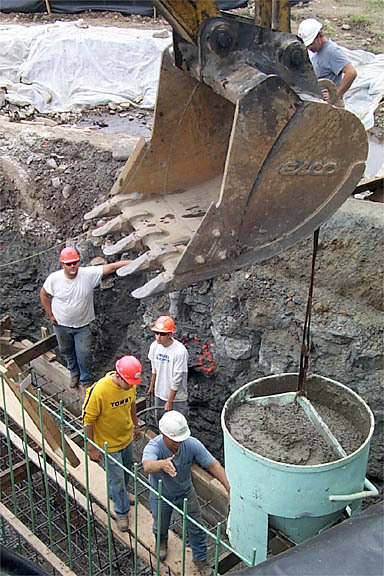 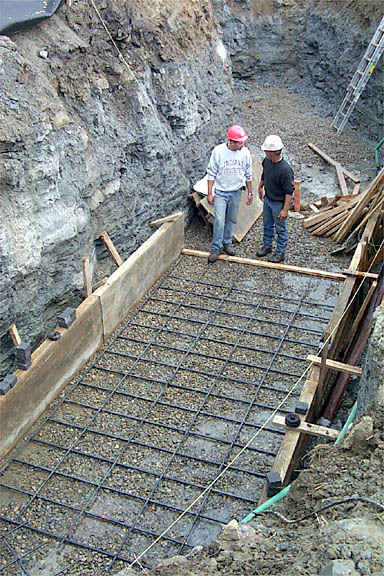 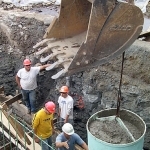 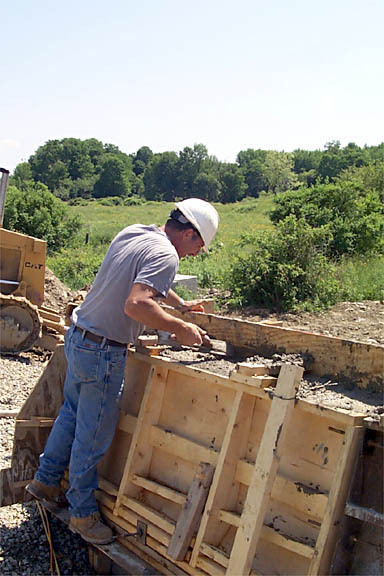 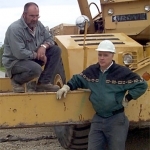 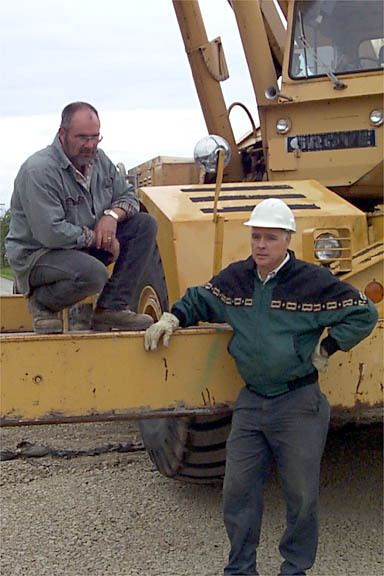 Quality Engineering Solutions of Conneaut Lake, PA was the successful bidder. 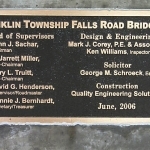 The bridge was dedicated and opened on June 28, 2006.